Guarding the left and right ventricular outflow tracts, the aortic and pulmonary roots, respectively, are composite structures of several elements, not only the valvar leaflets. 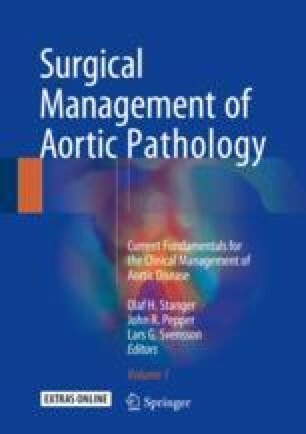 Understanding the aortic root’s central location in the heart is crucial to understanding cardiac anatomy, and surgical or interventional procedures in and around the root can impact on adjacent cardiac structures. The semilunar leaflets in both arterial roots have a scalloped configuration of the hinge lines across the anatomic ventriculo-arterial junction, leaving interleaflet fibrous triangles between the sinuses that are anatomically aortic or pulmonary but hemodynamically ventricular. Indeed, the coronet of semilunar hinge lines and the attached leaflets demarcate the hemodynamic ventriculo-arterial junction. The leaflets and their hinge lines, sinuses, interleaflet triangles, sinutubular junction, ventriculo-arterial junction and basal “ring,” and structures adjoining structures need to be taken into account when considering repair or replacement of the aortic or the pulmonary valves.